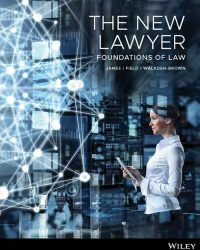 The new edition of James’ The New Lawyer: Foundations of Law has been written for first year Australian law students to make the transition to law not feel so overwhelming. 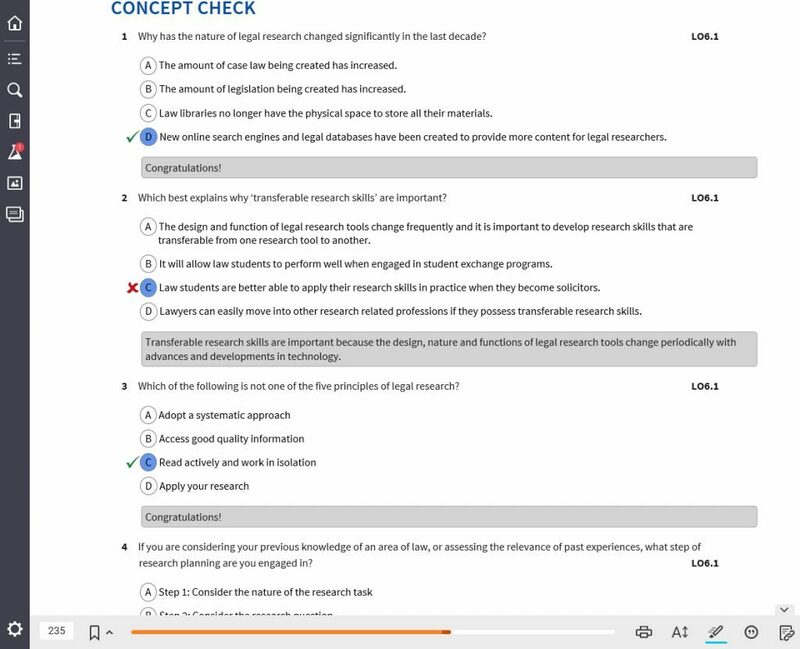 The book addresses the law threshold learning outcomes (TLOs), and outlines what you should know, understand and be able to do after their first year of study. 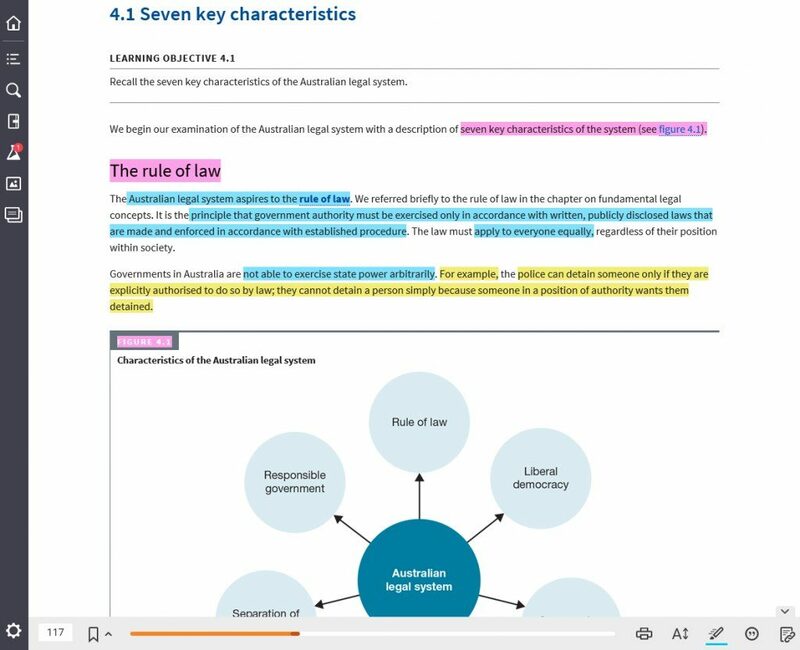 Our text has been designed with a ‘transitional pedagogy’ to assist students with a successful transition to legal learning. 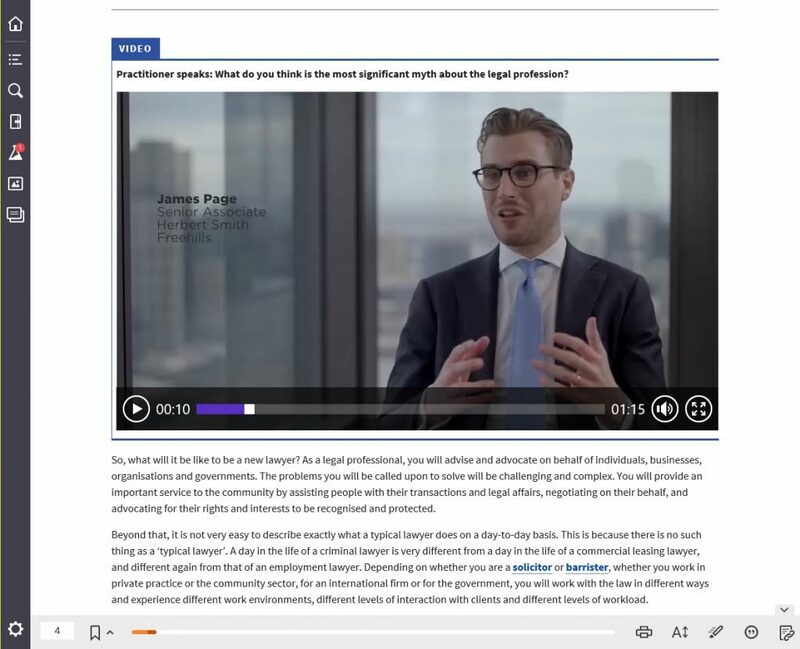 Our text provides a structured approach to delivering on the law TLOs. Co-author Professor Rachael Field is an expert in this field and was one of the academics that drafted the law TLOs. 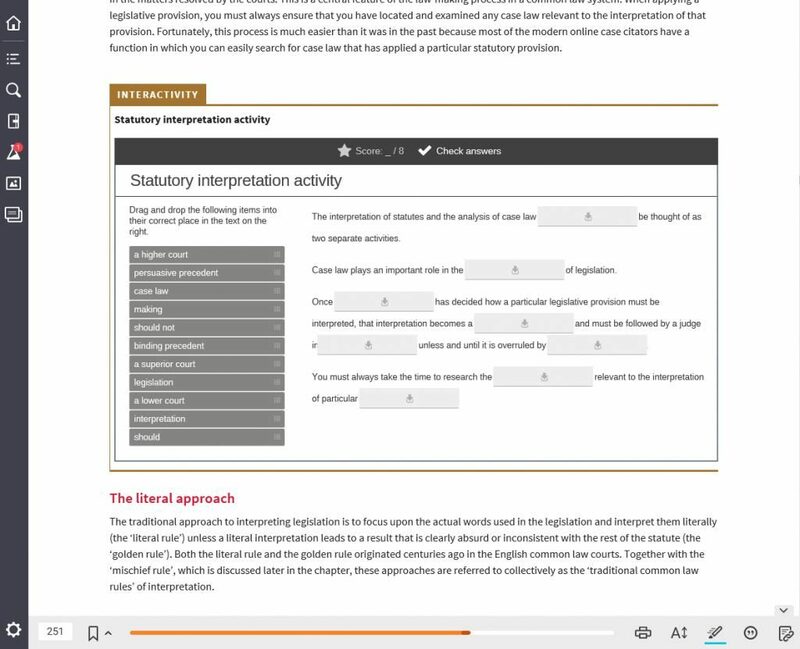 Our interactive eBook supports you by providing practice and feedback at the point of learning.